Posted on July 4, 2017 at 9:42 am. When you’re building or buying a house, one of the most important aspects to look into is the HVAC system; are they fully functional or are you making the right installation choice? A fully functional cooling system is part of your summer survival kit and a good heating system is all you need to keep you warm in winters. 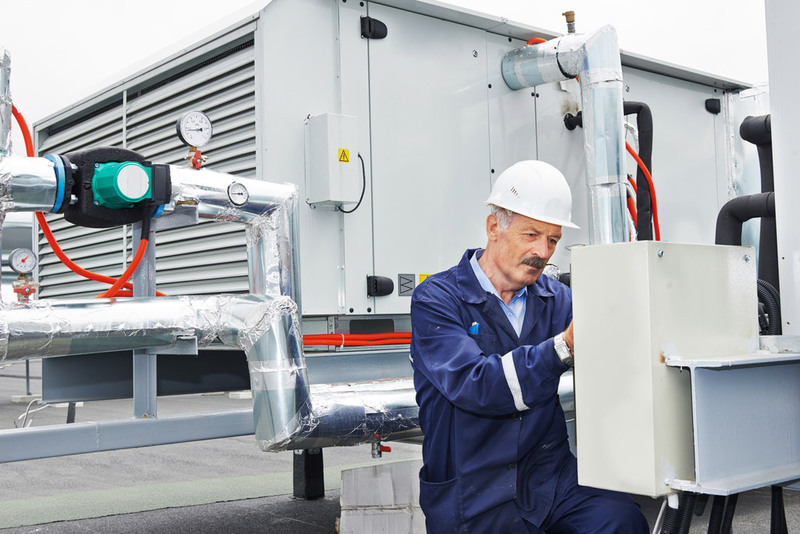 Why is an HVAC system important? Heating Ventilation and Air Conditioning are incredibly important for a home. They ensure that we neither freeze nor sweat too much by keeping the temperature just right. A fully functional HVAC system means heat, smoke and dust do not pollute the inside air of your house or your office space. Research has proven that up to 40% electricity is consumed by HVAC systems. Compared to previous systems, today they are more efficient and can save 30-40% of your utility bills. HVAC systems are also efficient because they keep the indoor air clean and virus free. A hybrid system is one of the most efficient HVAC systems. It consists of a heat pump that helps the refrigerant through the pipes, a furnace and evaporator that helps circulate air as well as ducts that evenly distribute the air inside the home. This system saves up installation costs. The system comes with a heat pump which conditions the air to cool or warm, a fan coil which is compactly attached tubes as well as an outdoor unit. It comes with additional accessories if you wish to make your indoor air cleaner than it already is. If you have limited space and want to install an HVAC system throughout the house, this is the best option for you. Designed to cater to smaller spaces, it comes with an evaporator, fan, heat coil and the air conditioner all in one single unit to ensure that minimum space is taken. This system is ideal for single unit as well as smaller spaces. Your conventional HVAC system that comes with an entire outdoor and indoor unit is designed to cool big spaces like entire buildings. It comes with an indoor AC unit, heat pump, evaporator, heat coil and fan for the outdoor unit. Make sure that you get your system checked after every few months- it is important to get the service done in time and keep it clean so that when the time comes, it can give maximum performance. For an efficient HVAC system, you need to hire professionals who will guide you through every step. From installation to repairing, Metro Plumbing Heating and Air provide reliable services in Cleveland GA.
Thermostat control can save you big money. When you aren’t at home, make sure to turn the temperature high so that your HVAC system will consume less energy. You can get a programmable thermostat from Metro PHA. Changing your air filters means less power consumptions which is why they should be cleaned as often as possible. Taking care of your outside unit is just as important as taking care of the inside. Every once in a week, you should go around the unit and see if there is any dust or debris that has accumulated over it. This can cause more power consumption which is why it needs to be cleaned on time. Metro PHA in Cleveland, GA has been the pioneer in the field. Working since 1989 in Cleveland, they offer the best air conditioning service in Cleveland GA. They have a team of technicians who excel at their job and know exactly what your HVAC system requires. They provide water heater repair in Cleveland, GA alongside heating system repair services. They also excel in system replacement, indoor air quality checks, maintenance and tune up for an unbeatable price that suits your budget. Their experts can also help you make the right choice when choosing an efficient HVAC system without upselling anything that you do not need. For any help, even during an emergency, contact them at (423) 855-0967 for a reliable, cost-effective and trustworthy service.